Connection. Commitment. Community. Meyer’s deep, soulful, yet highly accessible lyrics create these things, and so much more. Drawing on her playful humor and intrinsic spirituality, Barbara pens songs that are totally relevant now as well as steeped in ancient wisdoms. Meyer’s second record, simply titled Barbara Meyer II, shows a strong move toward her world beat aesthetic. She immediately draws you in with the opening tune Be Here Now, a sweet reminder to keep it real. Rolling through everything from the rootsy Jeep to sultry Crazy From the Heat, this record shows many colors yet remains as cohesive as a rainbow. 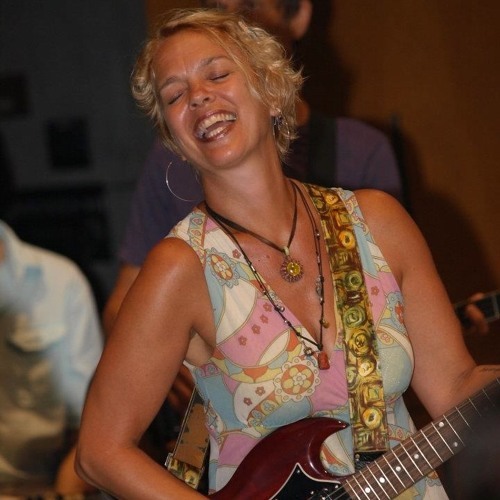 Her wildly talented band, anchored by international world beat drummer Stan Kipper (4 time Minnesota Music Award winner and double Rock and Country Hall of Fame inductee), joins her to create a truly magical sound. Barbara’s pedigree lists a Master’s in vocal performance from the University of Iowa, where she also studied opera before redirecting toward jazz. Meyer still sings jazz standards around the Twin Cities with several groups, and also sang Afro-Cuban Rock as a member of Minneapolis’ seminal ensemble One World. Her musical roots further encompass Broadway show tunes, gospel, and rock & roll. She has been compared to such vocalists as Joni Mitchell, Billie Holiday, Erykah Badu, and Lucinda Williams, and draws as much critical praise for her live performances as she does for her work in the studio.